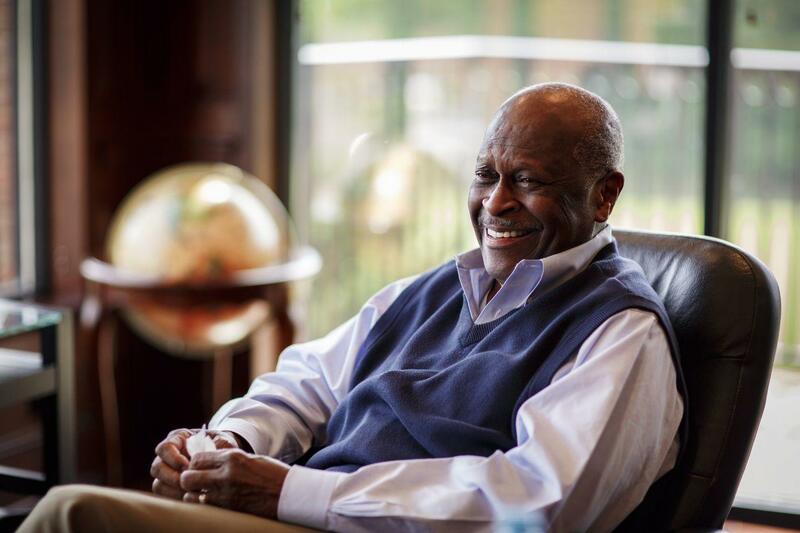 Thread: Cain nomination to Fed board sunk! 4 GOP senators including Mittens have said they would vote against him meaning he can't be confirmed. Ah well. WASHINGTON — Republican Sen. Kevin Cramer, N.D., on Thursday became the fourth member of his party’s caucus to tell reporters he would vote against a nomination for former pizza executive Herman Cain to join the board of the Federal Reserve. “If I had to [vote] today, I would vote no” on Cain, Cramer told reporters Thursday on Capitol Hill. Cramer’s reasoning: Past allegations of sexual harassment against Cain. Such a good, woke, virtue signaling, #metoo Republican. Real reason: he’s a shill in someone’s back pocket. So we're up to nein nein nein nein. With Herman Cain's nomination for the Fed, uh, flagging and Stephen Moore's nomination for the Fed in only slightly better shape, Senate Majority Leader Mitch McConnell sent a very clear message to President Donald Trump on Thursday: Stop picking problematic nominees and asking us to confirm them. "I've not spoken to him about any of them. I have expressed my, shall I say, lack of enthusiasm for one of them ... Ken Cuccinelli. Look I'm not going to handicap all the people that could come up. There are a number of members ... who have had some reservations about some of the names that have been mentioned." So, yeah, McConnell's not a fan. But beyond his personal animosity toward Cuccinelli, the message from McConnell to Trump is a politically astute one: These people you are nominating (or thinking about nominating) for jobs can't get confirmed. In the case of Cuccinelli, it will come as no surprise to you that a guy who runs a high-profile super PAC aimed at beating establishment GOP senators wouldn't have a lot of fans in the Senate. (Cuccinelli is also a CNN political commentator.) And although Republicans did expand their majority in 2018, they still only control 53 seats -- which means that if four GOP senators defect, then a Trump nominee is dead in the water. 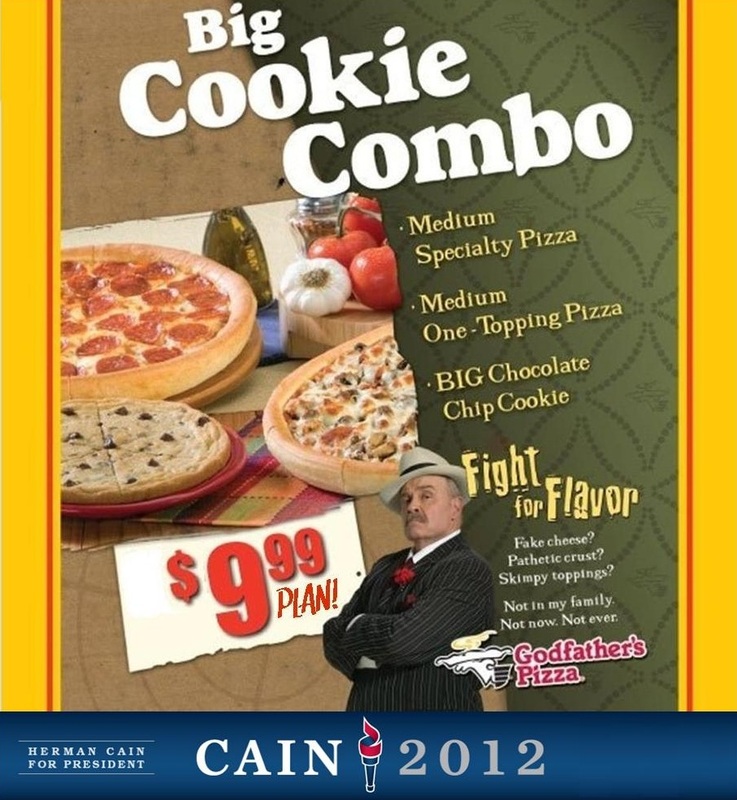 Which brings me to Herman Cain, the founder of Godfather's Pizza and 2012 GOP presidential candidate. Trump, out of the blue, proposed Cain as a candidate for one of the two open seats on the Federal Reserve. The pick drew immediate opposition, with four Republican senators now on record opposing Cain's ascension to the slot -- essentially dooming his chances. "Herman is, you know, he's already sat on one of the Fed Boards," Trump said of Cain earlier this week. "And he's just somebody I like a lot, as to how he's doing in the process, that I don't know. You go through the process, but Herman's a great guy and I hope he does well." And then there's Moore, Trump's nominee for the other open seat on the Federal Reserve. Since being nominated, Moore has come under fire for a past tax lien and for his closeness to Trump and his advocacy of the President's economic policies. "I do believe in the importance of an independent Fed," Moore, a former CNN analyst, said to CNN's Erin Burnett earlier this week. "I think it can be divorced from politics." Of the two Fed Board nominees, Speaker Nancy Pelosi (D-Calif.) said this week: "With stiff competition, these two appointments to the Fed are the worst, ill-suited appointments that the President could come up with." What McConnell knows -- and he is trying to make sure Trump understands -- is that every time the President makes one of these random picks for an important post and said person goes down in flames, it hurts the Senate, the President and the broader party. Picking friends and people who have said nice things about you isn't any way to fulfill key roles in a government. McConnell knows this. Trump? Not so much. They dont want people they cant put in their back pockets. So this article from the “reputable” CNN is saying that Senator Mitch McConnell is really, really anti-Trump (just like the Crooked News Network)?!? Is that why President Donald chose the wife of McConnell, Elaine L. Chao, for Secretary of Transportation? I’m getting sick of these bad “news” articles that everybody seems to favour! Elaine’s father, James S.C. Chao, was a classmate at Jiao Tong University of Jiang Zemin, the president of China in the ’90s. They have kept in touch ever since. Through James Chao, Elaine and Mitch McConnell met Jiang several times, both in Beijing and Washington. When Jiang visited the White House in 1997, he met privately with Elaine and Mitch McConnell, before a state dinner hosted by President Clinton; Senator McConnell again met Jiang the next morning. In 1999, Elaine and Mitch appeared at the University of Louisville with Chinese Ambassador Li Zhaoxing. When James Chao emigrated from Taiwan to the USA, upon settling in New York, he founded the Foremost Maritime Corporation. Foremost transports goods to China and buys its ships from the China State Shipbuilding Corporation. Senator Mitch McConnell’s ties to the Chao family go back to the late 1980s, when James Chao began donating to his campaigns. In 1993, McConnell married Elaine Chao. In April 2008, James Chao gave Elaine and Mitch $5 to $25 million to help the McConnells get over the dip in their stock portfolio after the financial crisis earlier that year. The generous gift made McConnell one of the wealthiest in the Senate, with an estimated net worth of $22.8 million. In 1989, Elaine asked John Huang to raise money for Republican senators. In 1993, Huang, then head of the Lippo Bank (based in Indonesia), arranged a coalition of Chinese banks and individuals to sponsor Chao’s visit to Los Angeles as the new head of United Way. Huang also gave McConnell $2,000 in illegal donations as part of a foreign money-laundering scheme. Elaine has been a director for Protective Life Corp., which owns 50% of CRC Protective Life Insurance. Lippo co-owns the rest of the Hong Kong-based insurance company with China Resources Holdings Co., a front company for China’s People Liberation Army. Lippo is controlled by the Riady family and was at the centre of the Clinton “Chinagate” fundraising scandal. Lippo´s chief executive James T. Riady pled guilty to a felony charge for illegally donating to the campaign of Bill Clinton. "Nein, Nein, Nein." That is Herman Cain's response (loosely translated to German) to the White House's subtle hints that he should drop his candidacy for the Fed Board. One day after Bloomberg reported that the White House is in discussion with candidates to replace Herman Cain and Stephen Moore following a widespread outcry over their candidacy, on Wednesday the WSJ reported that Herman Cain he has no intention of withdrawing his name from consideration for a seat on the Federal Reserve Board, despite a clear lack of sufficient support - even among Republicans - for Senate confirmation if President Trump nominates him. The former pizza company executive said that he’s “very committed” to sticking with the process of being vetted by the White House as it considers whether to formally nominate him for the position, the WSJ reported following an interview with the failed presidential candidate. Despite Cain's refusal to withdraw, his rejection is all but assured after four Republican senators said last week they wouldn’t support Cain due to concerns including his conservative activism and sexual-harassment allegations, which he has denied. Ironically, Cain said it was Kudlow’s idea to consider him for the Fed job in January, after Trump had been venting his frustration about interest-rate increases for months. Cain said the last time they spoke, Kudlow encouraged him to hang in there—though he couldn’t specify when exactly that was. “What Kudlow was doing was giving me an out, and I appreciate that, but I don’t want an out. I don’t want an out,” Cain said, adding that he doesn’t think the White House is getting cold feet about his potential nomination, even though it clearly is. Looking for youtube of Cain ending his republican nomination. VOTE in the Politico Poll : Can Cain Win the GOP Nomination? Koch-Cain; The New GOP Drug? Are Koch bros Buying GOP Pres Nomination by Supporting Cain?